Many of us think of our dogs not as pets but as full-fledged members of our families. If you own a dog or are thinking about getting one, A Member of the Family is the ultimate resource for integrating your canine companion into the life of your household. What should you do if you need to leave your dog alone at home while everyone is at work? Are you providing him with the exercise he needs? How can you make sure your children and dog get along well? How do events in the human family, such as birth, marriage, or divorce, affect the family dog? 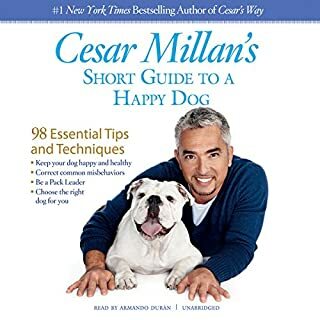 All of these questions and many more are answered by best-selling author Cesar Millan in his new book. 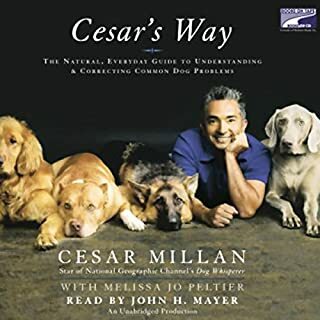 Brimming with practical tips and techniques, A Member of the Family addresses the most common issues and questions that emerge over the course of a person's lifetime relationship with a dog, explaining what it takes to be a good dog owner. 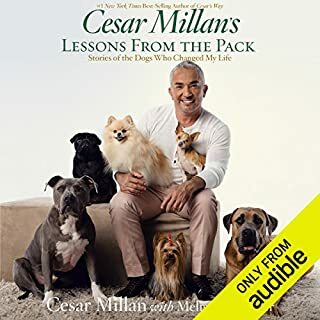 From choosing the right dog for your particular family's needs to setting the rules of the house (yes, you and your family are in charge) to finding a quality veterinarian and monitoring your dog's health, Cesar offers essential advice for a harmonious home. No topic is left untouched. 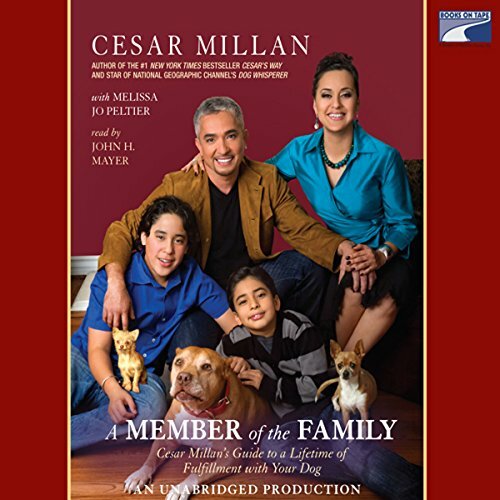 With success stories from Cesar's fans and clients throughout, A Member of the Family includes sections on travel and doggie day care, the needs of an aging dog, and dealing with the death of a pet and its long-lasting effects on a family. 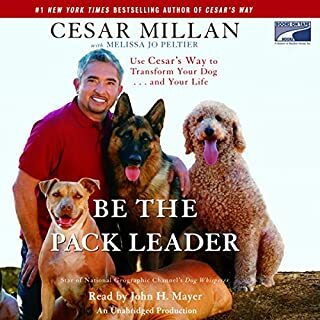 A chapter on dogs and children is written from the perspective of Cesar's sons, Andre and Calvin, and one on the role of the strong female pack leader is by Cesar's wife, Ilusion. I work a lot with animals and also train dogs. Cesar's methods have been the most effective I've used. Dogs all around me are getting their needs met and their owners see them with new eyes and are extremely happy. This book has educated me even more. Also, I love the fact that his wife and his children participated in the writing of it. Great job Cesar! You are my hero! The methods described in this book were enlightening for me and are proving really helpful with our family's new dog. However. As an audio book I didn't think this book was very successful for a number of reasons, not least of which was the narrator. There is something irritating in the tone of the narrator's voice that we all found grating - as if he were explaining things to people who have a hard time understanding. In addition, there are many lists in the book and added resources in appendices that are referred to that can't really be appreciated in the form of an audio book. Great content, but it would be more useful in paper version. Add this one to your list. Very well rounded book. Ceaser did it again. Add it to your list. Thank You Ceaser. Same info as in his other books, no new content or info on dogs...just differ way of saying it. Buy this book before you purchase a dog. 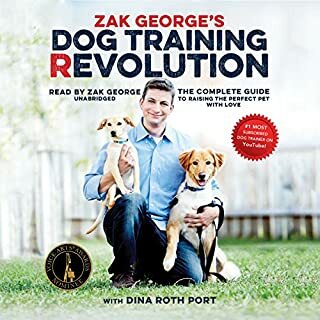 If you have already purchased a dog, then both of you read this book. Great insights about our best friends. I have his first two books. If you've read or heard them, you are going to hear more of the same. An expensive rehash. Although some of the info from previous books is repeated, it is info that bears repeating. The new info is great- love the holistic approach to nutrition, veterinary care, and grief. 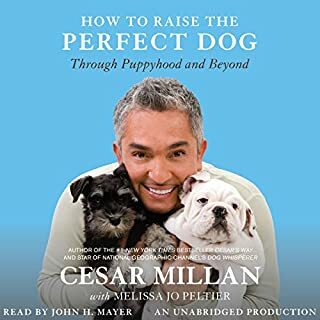 The narrator is fine but I would prefer Cesar's voice.